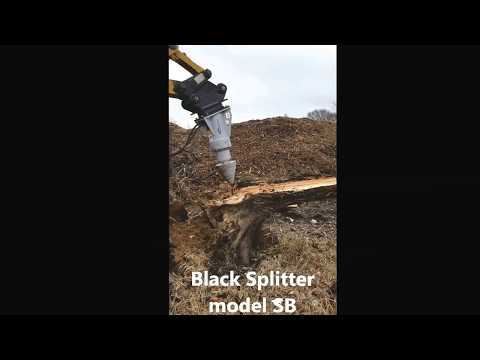 The Black Splitter SB is designed to fit all models of excavators. 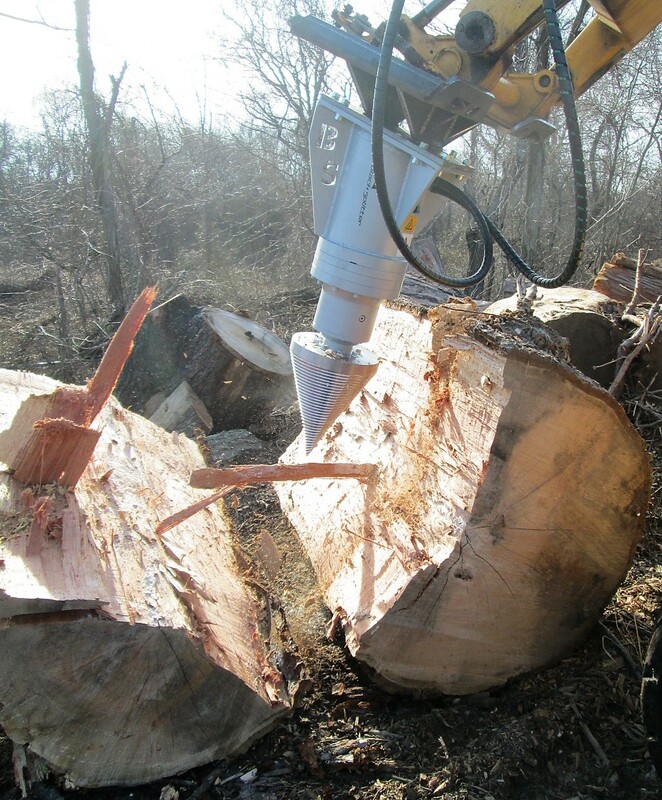 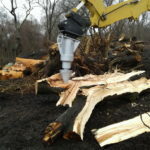 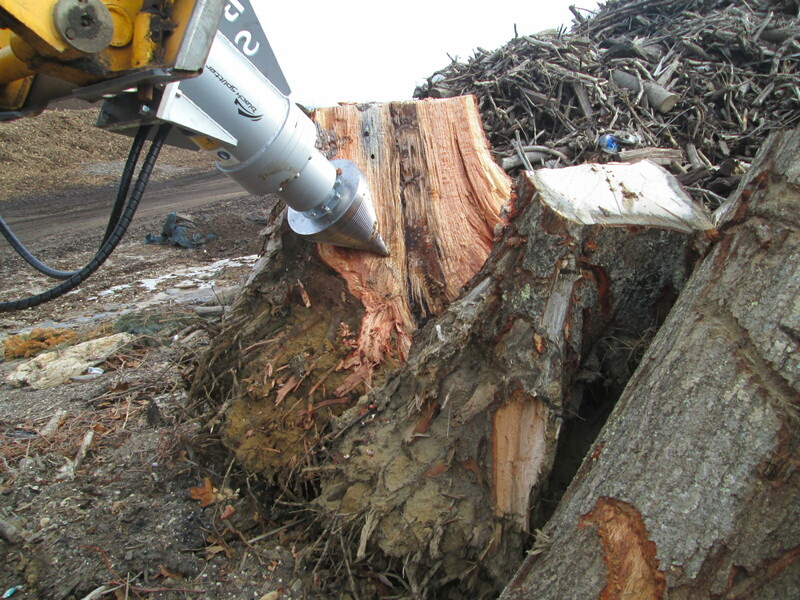 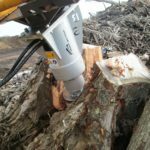 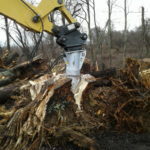 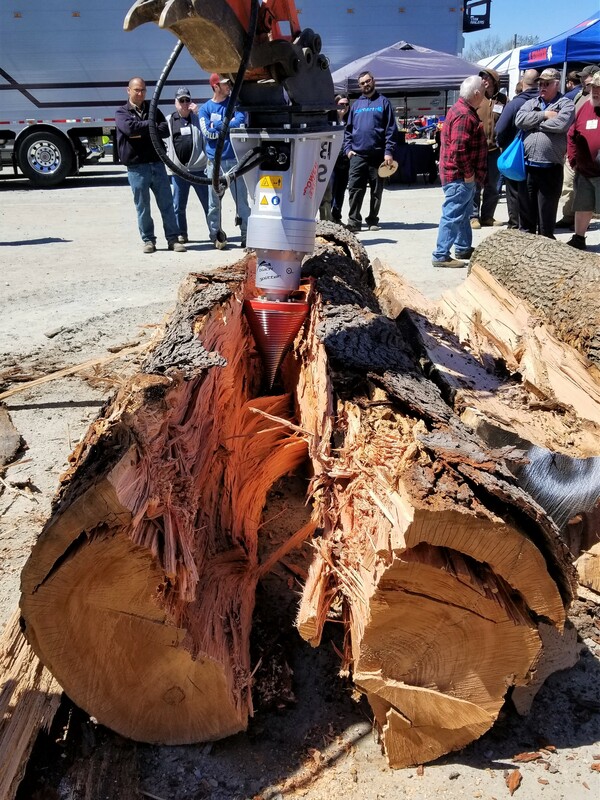 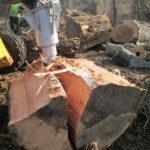 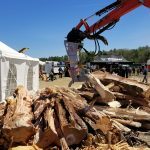 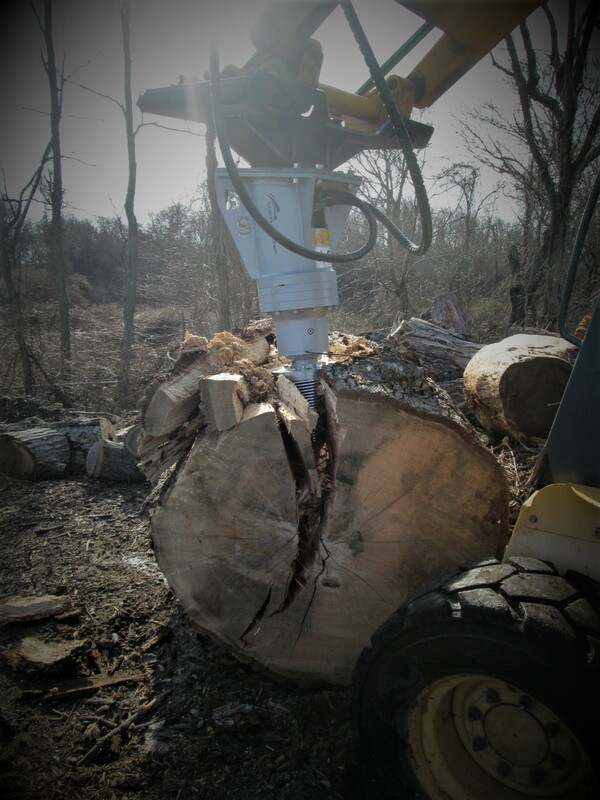 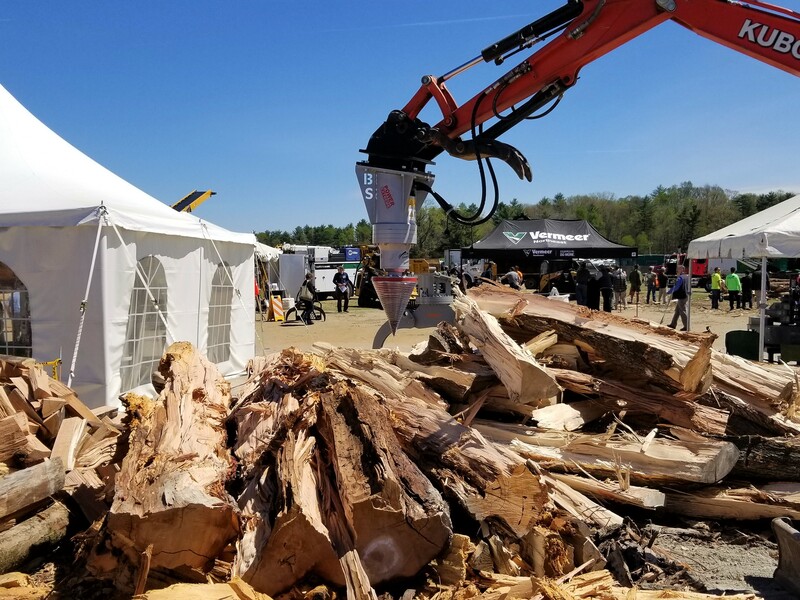 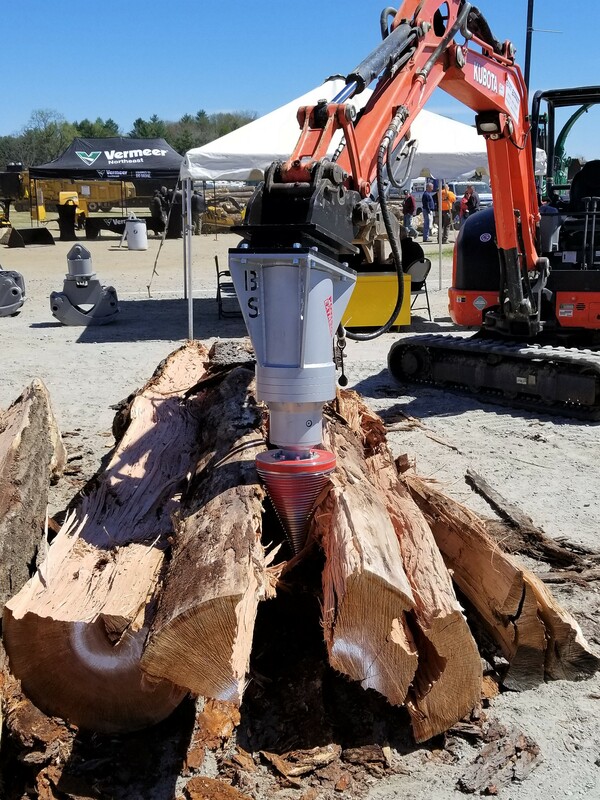 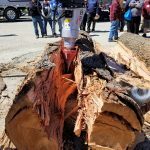 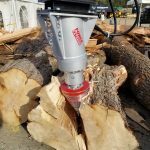 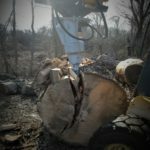 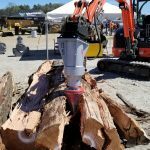 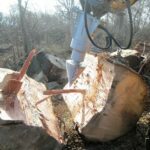 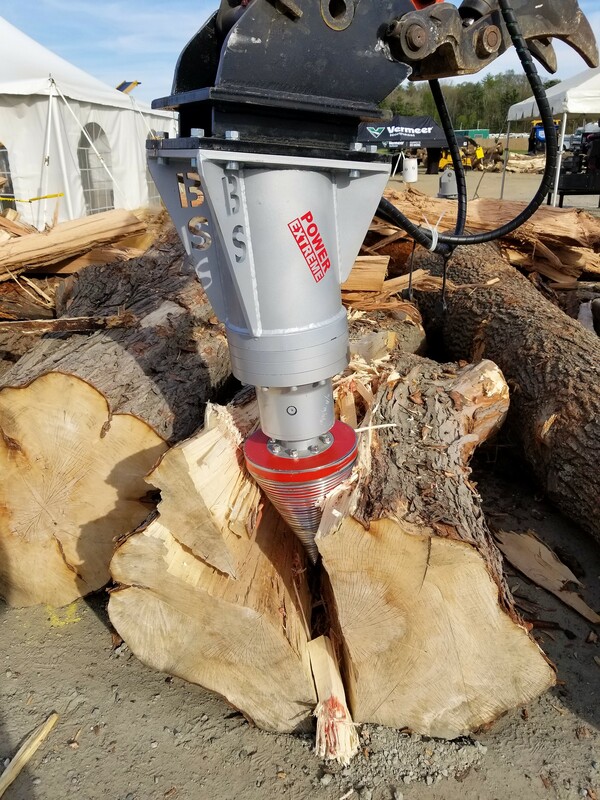 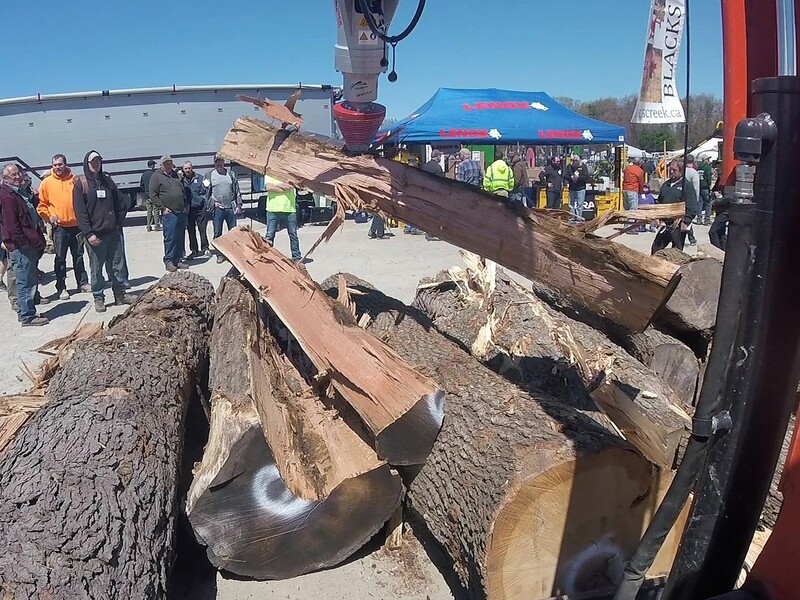 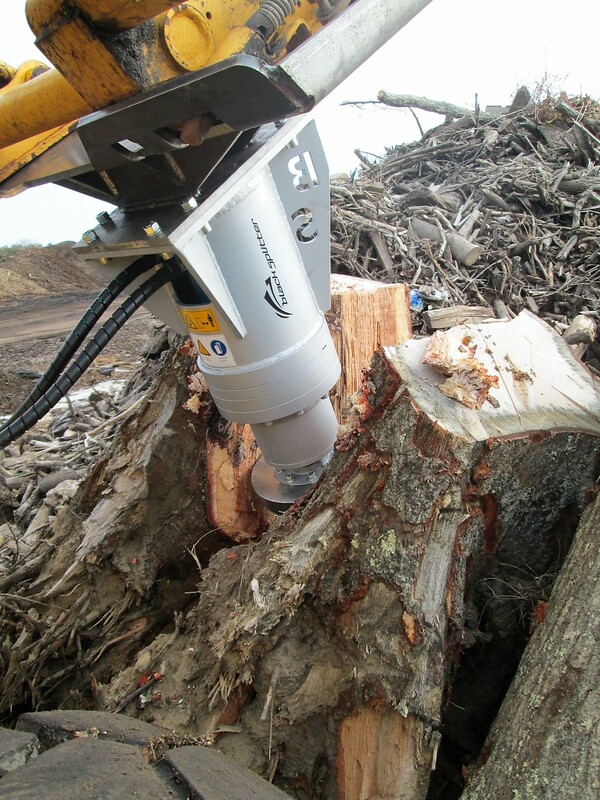 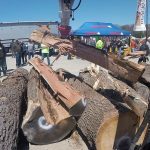 The unique rotating threaded cone provides extremely efficient wood-splitting power for various timber types including hard, soft, straight, twisted, stumps and roots. 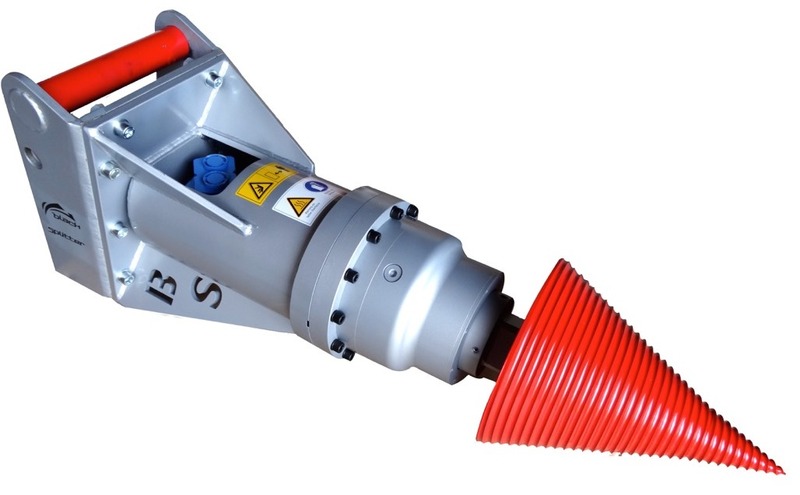 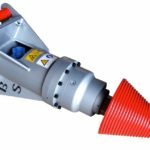 The two-piece chromium-steel cone with replaceable tip has a quadruple shear thread for quick penetration and performance. 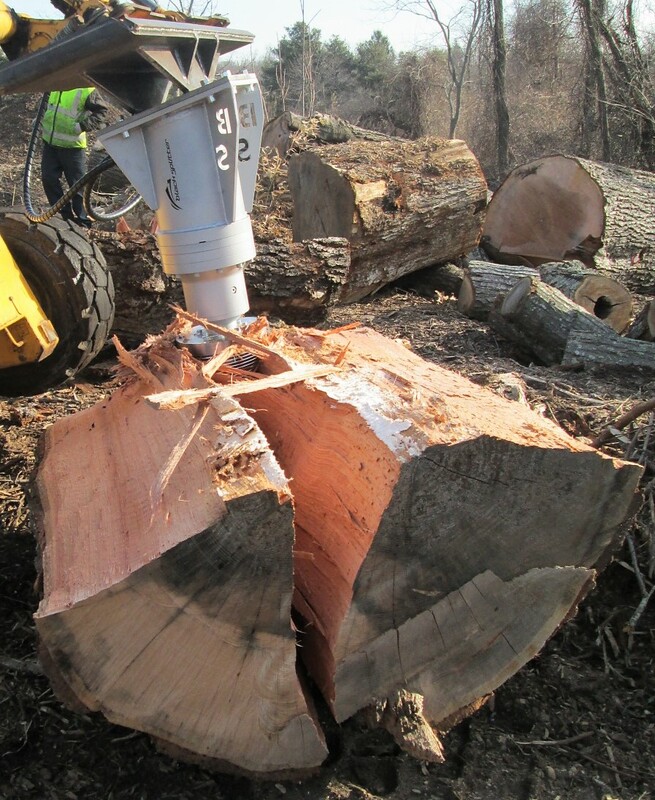 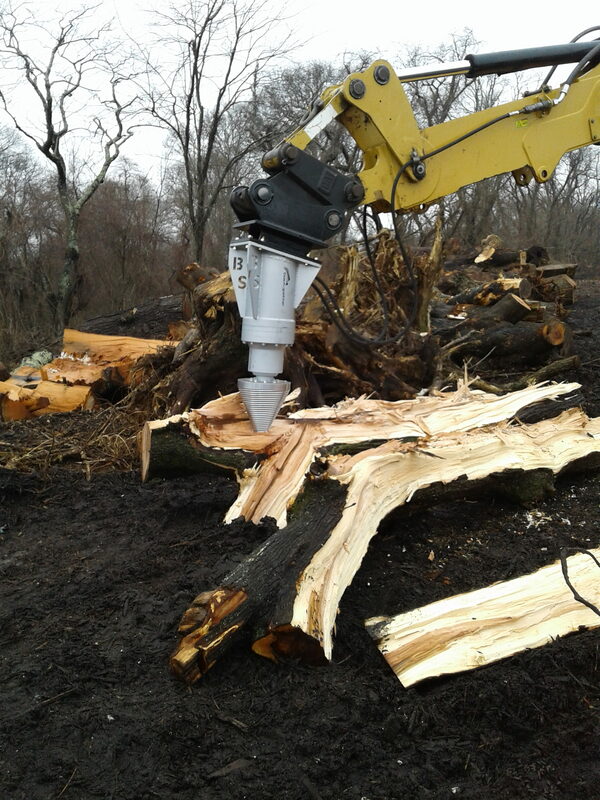 The cone can also be used to maneuver and position individual logs before and after splitting. 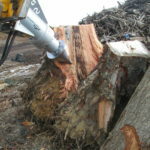 Typical lead time is 3-6 weeks if not in stock. 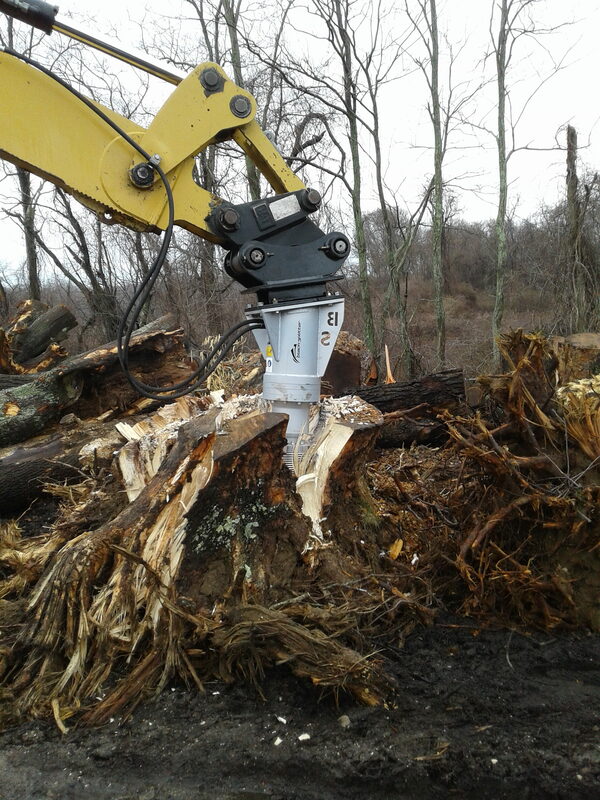 Custom mounting bracket is not included but can be order at an additional cost.